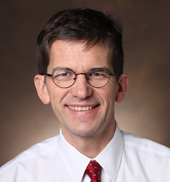 Massion is an Ingram Professor of Cancer Research and co-leader of the VICC Cancer Health Outcomes and Control Research Program with Debra Friedman, M.D., and David Penson, M.D., MPH. The immediate goal of the Cancer Early Detection and Prevention Initiative is to expand research in this area campus-wide and address critical issues in early detection and prevention of leading cancers. A longer-term goal is to build the scope of the cancer early detection and prevention research portfolio to a freestanding, peer-reviewed cancer center research program. “I am excited about the opportunity to lead this important new initiative, which has the potential to change the cancer narrative by focusing on preventing the disease or detecting cancer at earlier stages when it is more easily treated or curable,” said Massion. Massion currently serves as co-leader of the Cancer Health Outcomes and Control program and directs a research laboratory at VICC. Massion is internationally recognized for his research contributions in lung cancer, which is the No. 1 cancer killer. With an emphasis on early detection, Massion’s research focuses on the role of oncogenes in the development and progression of lung tumor cells and he is also a leader in the identification of molecular biomarkers for early detection of lung cancer and for use in assessing response to therapy. Early detection and prevention research are at a critical juncture when the ability to detect early cancer is great, but there is an equally pressing need to develop reliable methods to distinguish benign pathology from cancer and spare patients from unneeded interventions, as well as prevent interventions for cancers that otherwise do not threaten patients’ survival. The new cancer initiative also highlights the opportunity to prevent cancers through smoking cessation, especially given the high incidence of tobacco use among residents in Tennessee and the Southeast region. Massion received his medical degree and completed post graduate training at Catholic University of Louvain in Belgium. He completed his residency in Internal Medicine and fellowship in Pulmonary and Critical Care Medicine at the University of California San Francisco. He has published more than 110 scientific papers and is principal investigator on several clinical trials. He joined the Vanderbilt faculty in 2001.